Tudor has a long and interesting heritage and history. The fact that Tudor was founded by the same man who founded Rolex, and is today owned by the same organization, has hardly surpassed anyone, but an important reason for that is because it has played such an important role for Tudor. Both in modern times but also in recent times. Since the brand’s relaunch in 2009, Tudor has undergone a number of changes, including the introduction of a large number of new model ranges and watches. And many of the watches that Tudor has released have been ”heritage” models, which means that they have taken inspiration from Tudor’s vintage watches that was manufactured back in the days, to now do a modern re-edition of those watches. It’s safe to say that Tudor’s ”vintage-inspired” watches have among the most successful watches that Tudor has launched. Why that is is a good question, but people seem to love vintage-style watches, and in Tudor’s case, that are more robust, reliable, and more affordable, than the original vintage watches that they take inspiration from. The Tudor Heritage Chronograph reference 70330B is such a watch. 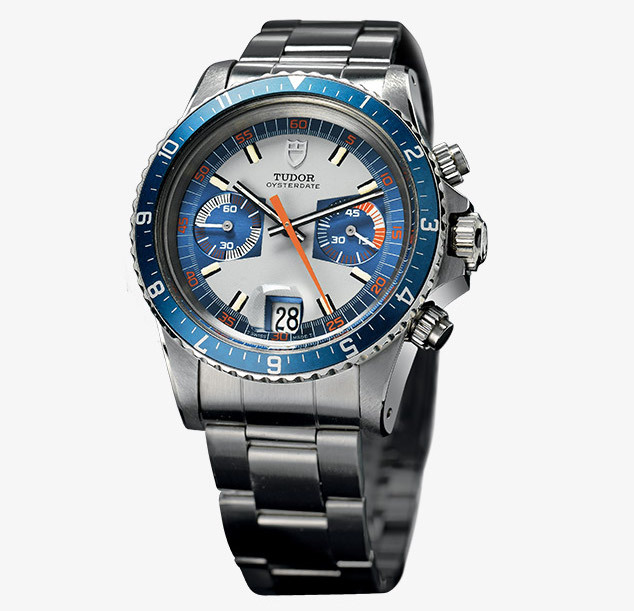 As the name suggests, it is a model that is based on Tudor’s heritage. In other words, it is a ”re-edition” model. More specifically, it is a re-edition of the Tudor MonteCarlo – but more on that later. In this article, we’ll talk about the Tudor Heritage Chronograph, talk about its background, and go over the specifications of this quite popular chronograph. 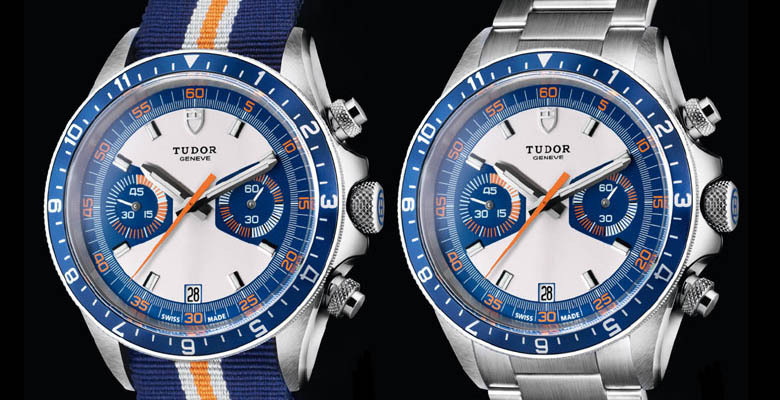 The Tudor Heritage Chronograph 70330B (blue) was launched at Basel world 2013. The watch itself was nothing revolutionary when it was released, but its design was a huge success. At the 2013 Basel watch fair, the Tudor Heritage Chronograph 70330B was one of the stars of the show. This is especially interesting since, in 2013, Tudor has just been relaunched as a brand, and a lot of people had not started to pay attention to Tudor that much yet. Before the released of the Heritage Chronograph 70330B, Tudor released a gray toned version (ref 70330N), so the launch of this specific piece didn’t come as a huge surprise, however, it still became a big success. As the name suggests, and as I have already mentioned, the Heritage Chronograph 70330B is not a new design. In fact, it is based on Tudor’s vintage chronographs. More specifically, the Tudor Montecarlo reference 7169. The benefit of doing a modern interpretation of a vintage watch is that you already have a finished design that you use as the starting point, but secondly, it gives you the opportunity to build upon already popular models that people love. When doing so, you can have quite a good idea of how the model will be received upon its launch. And since the Tudor Montecarlo 7169 has come to become extremely popular among collectors, causing it to skyrocket in price, you can expect that a re-edition of that watch would be a huge success as well. 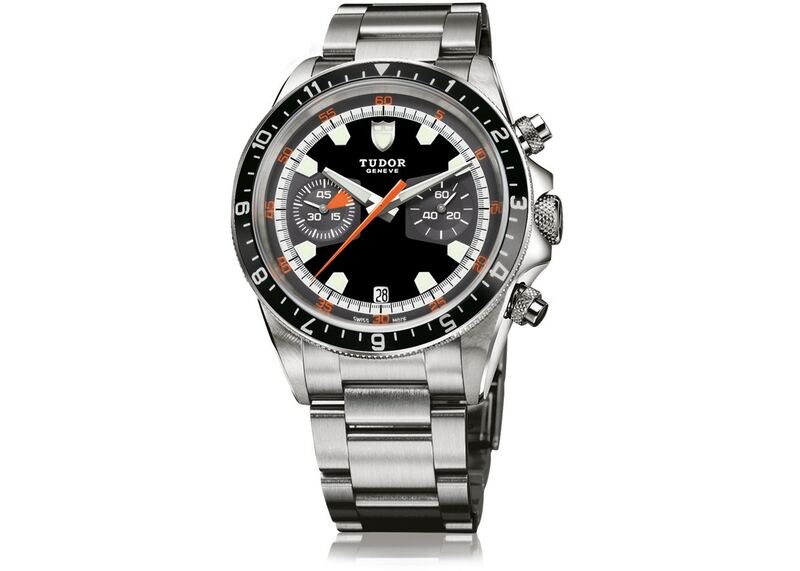 And the Tudor Heritage Chronograph 70330B was. Of course, the new Tudor Heritage Chronograph 70330B has been updated and improved to be higher quality, more sturdy and durable, but the design is very similar. The Tudor MonteCarlo has a quite unique design for being a chronograph. It is especially the colors of the watch that makes it stand out from most other chronographs. And now, let’s have a look at the Tudor Heritage Chronograph 70330B. Notice any similarities? The layout of the dial is more or less identical, but the re-edition does have some differences – both for practical and for aesthetic purposes. What maybe stands out the most is two register dial that has been painted in blue. This creates a beautiful shape to the dial. What’s interesting is that Tudor could have gone and made a complete copy of the Tudor Montecarlo, but choose to make some minor visual changes because it makes the watch better and more durable. When you think Tudor, think ”everything has a purpose”. For example, the original watch has painted five-minute markers, but as you can see on the picture, the luminous material and color has lost a bit of its shape over the years, (which of course many collectors love), so Tudor now uses applied markers with painted luminous material on top instead. But while the watches are not identical, the re-edition can be instantly recognized as the Montecarlo. The Tudor Montecarlo used the manually wound Valjoux 234 movement. This came to be the last manual Tudor Chronographs, as Tudor then moved to the Valjoux 7750. Because Tudor used this Valjoux movement, the Montecarlo only showcased 45 minutes, apart from the 60-seconds hand. The modern Tudor Heritage Chronograph 70330B does not use a Valjoux movement, but instead, it uses the ETA-based self-winding mechanical movement, Calibre 2892 that has an additional mechanism for chronograph function. Tudor mostly ends up modifying all movements that are externally sourced (not developed in-house), and this movement is no exception. What’s interesting about this is that Tudor could have gone the easy route and used the chronograph minute counter on a 2894 movement that measures 30 minutes. IBut instead of doing so, Tudor wanted to make the 70330B as close to the original with a 60-seconds and a 45-minutes sub-dial and therefore used an ETA 2892 with a chronograph module over it that has a minute counter that measures 45 minutes. The watch also has a power reserve of approximately 42 hours. There are quite a few subtle differences between the Tudor Montecarlo 7169 and the Tudor Heritage Chronograph 70330B. As mentioned, we have the movement, but then we also have the functions. Tudor has changed the layout of the watch, to now show 45-min now at the 6 o’clock position, and small seconds at the 3 o’clock). Another interesting change is that they have omitted the cyclops over the date window at 6 o’clock. Most likely for symmetry and to make the dial less cluttered. What’s so great about the 70330B is that without the date cyclops, the date window is so perfectly integrated with the dial that you barely notice that it’s there -until you look at it to tell the date. The pushers and the crown have also been redesigned. The original pushers and crown are very much vintage Rolex and Tudor, which is no surprise considering Tudor used Rolex parts back in the days. Today, the pushers and crown have been redesigned to have more of their own personality. An interesting detail is that the crown has a blue lacquered Tudor shield logo. The texture makes the crown easy to grip, which of course is the purpose (remember, everything has a purpose with Tudor). The shape of the crown guard is very similar still. The hands of the sundials are very similar to the original. The hour and minute hand have been slightly updated to not be completely rectangular, but rather have more of a pointed edge to them. The chronograph hand, however, stays true to the original, and stays orange, and keeps its long-triangle shape. What is especially interesting to note is that the chronograph registers of the Heritage Chronograph 70330B are not cut into the dial, nor lowered or raised. They’re justed painted and flat. And you could argue that the dial gets a bit boring when it is completely flat, but at the same time, the 70330B now has applied markers which contribute to more depth of the dial. What’s interesting is that the original Montecarlo has lowered chronograph registers, so this could be something you can complain about if you like more texture and depth to the dial. What is maybe the most striking and eye-catching is the color way of the Heritage Chronograph 70330B. The unique colorway is one of the reasons why the Montecarlo has become so popular and iconic. The striking orange color with the Riviera blue/azure blue is a very striking color combination that truly makes the 70330B something special. 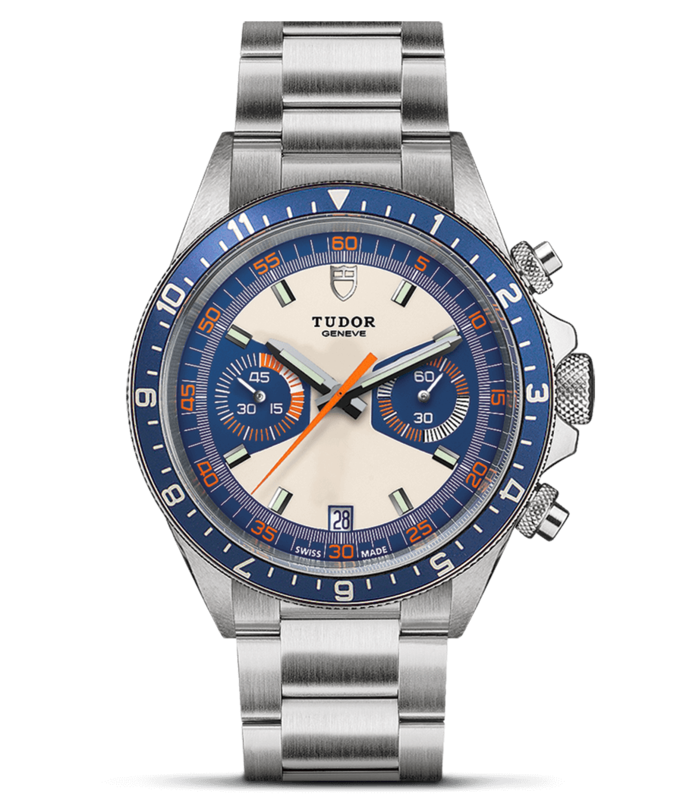 The Tudor Heritage Chronograph 70330B has a round stainless steel case measuring 42mm with a bidirectional 12 hour rotatable graduated blue bezel. The bezel allows for a second-time zone display as well as being used to measure hours. Simply line up the 12 o’clock position with the hour hand, and you can then measure up to 12 hours. Furthermore, the watch has an opaline and blue dial with a cream/beige/grayish that contrasts the painted sundials. The watch uses blue to surround the chronograph registers as well as the outer minutes track. The watch is water-resistant to 15ATM and features a sapphire crystal, unlike, of course, the original Montecarlo. As you would expect from modern Tudor watches, the watch feels really good. It has no rattle and doesn’t feel cheap in any way. It has a finish that just looks high-quality, combining brushed with polished elements. The watch wears quite large because of the wide-spaced and long lugs. The bezel of the watch feels very solid and of high quality. 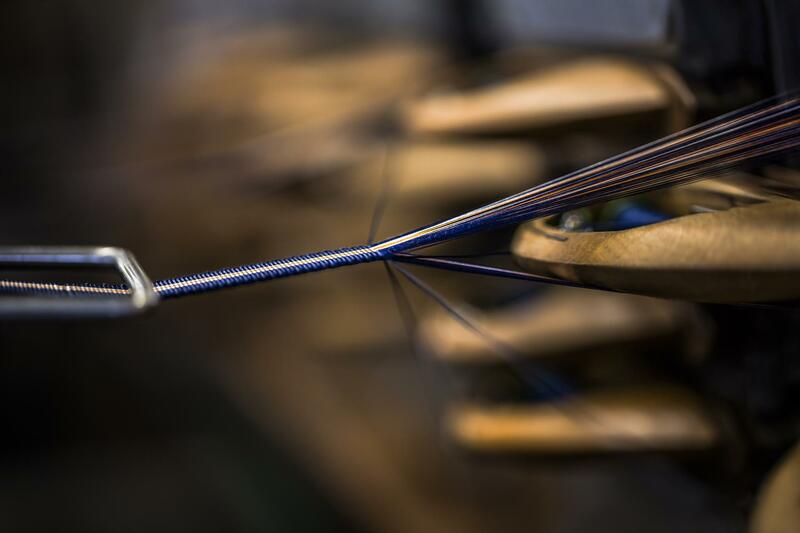 The bezel simply locks into place without being too rigid. So are the pushers and crown, making them easy to operate. The bracelet feels really solid, just like the other steel bracelets of the modern Tudor sports watches like the Black Bay. It has a great machine finish, and the bracelet is really comfortable to wear. 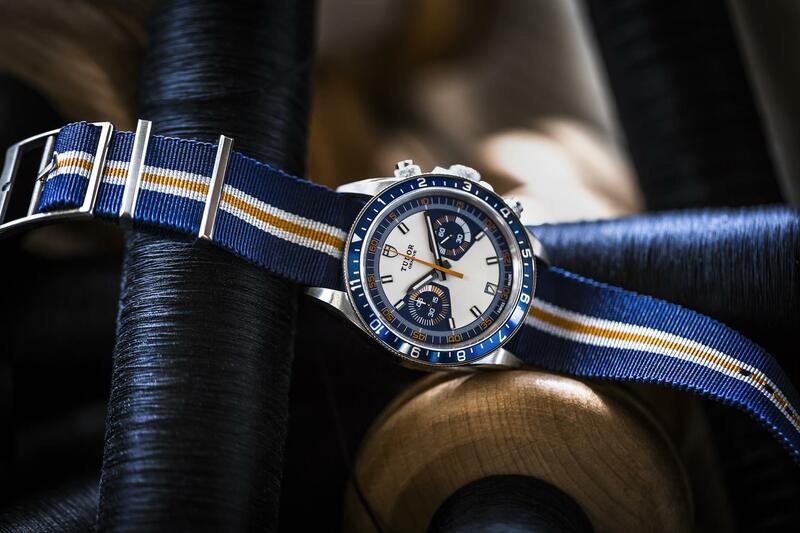 Originally, the watch came with a nice Tudor fabric strap that complements the watch extremely well, however, in recent years, Tudor has removed this extra strap, and instead introduced ”fabric strap versions only” for their models, which means you can buy them on a fabric strap only without the steel bracelet. This, of course, makes the watch cheaper. You can always buy the strap extra, though. The steel bracelet has a locking fold-over deployment clasp as well as micro-adjust holes in the clasp. The bracelet has solid end-links which fit very well against the case. The bracelet also tapers slightly, which improves comfort. The Heritage Chronograph 70330B is a true classic. It is built on the now widely popular Tudor Montecarlo, which has skyrocketed in price over the years. And the fact that they are getting increasingly expensive makes the Heritage Chronograph a great candidate for those who like the design but want a more robust, modern, and reliable watch, that also costs significantly less. Tudor’s goal was to make a re-edition of the Montecarlo Chronograph, and you can definitely say that they have succeeded. Not only have they made a re-edition of it, but they’ve also made a higher-quality watch that has an even better finish and that is more sturdy and robust. This truly is the best of both worlds.